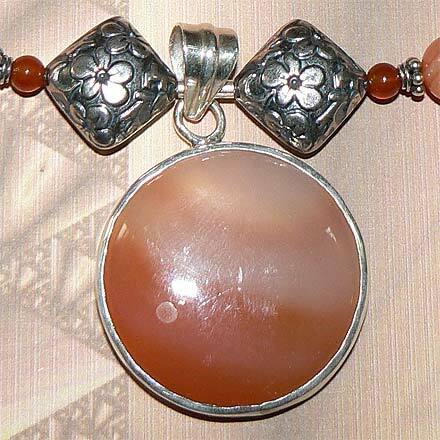 Sterling Silver Carnelian Necklace. See Closeup. 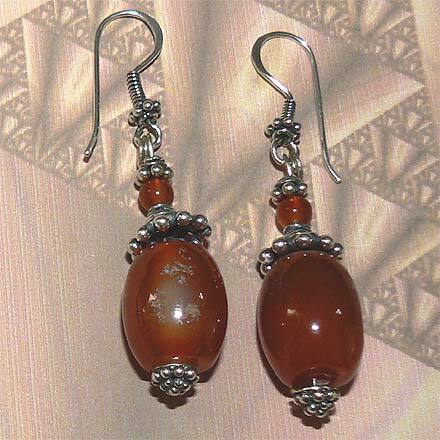 You will love the big chunky Carnelian beads used in this jewelry set. 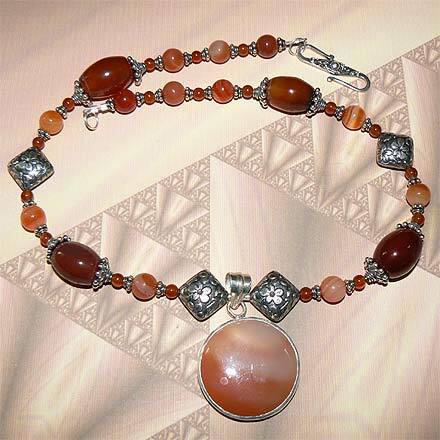 The round pendant is 1¾" (including bail) hanging from an 18¼" necklace. 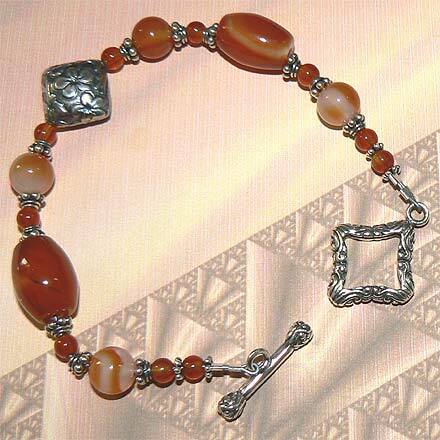 The matching bracelet is 8".